Listen to "#19 V.E. Schwab - How-To Find Fulfillment in Your Creative Process" on Spreaker. Victoria or V.E. Schwab is an international best-selling creator of engrossing worlds. What struck me first and foremost in my conversation with Victoria is that she has an enormous heart. The day we did had this conversation I was less than 24 hours removed from a personal tragedy. I was emotionally fried and running on no sleep, and I had a very real fear that my brain was going to quit on me in this talk that I had been looking forward to for months. Her process to continually improve and deepen the well in which she draws from in her craft. Her method of regular self-care. How Neil Gaiman opened her eyes and blew her doors open to the many possibilities that exist for creators. How Vicious was the first book she really wrote for herself and how that change can change everything about your creative process. 2:35 – Victoria starts by talking about finishing her newest book the night before and how she is getting prepared for more work right around the corner. 3:45 – We get insight into Victoria’s adversarial nature. Specifically, what caused it and how it leads into her future career writing novels. 9:30 – Victoria goes into detail about her lack of interest in books until becoming enraptured by Harry Potter. She further talks about how that caused this spectacular growth in her creativity and love of books. 16:00 – We hear about the process Victoria uses to write a book and the wonderful feeling of accomplishment when she finishes something that she has put so much time, effort and love into. At the same time, she makes it clear that she is not infatuated with every aspect of the book writing and publishing process. 21:00 – Victoria opens up about how she creates a book, what keeps her going when she’s writing it and what she feels is a requirement to begin writing a book. 25:00 – Victoria talks about the challenges of publishing a book and the psychological and emotional pressure that happens when going from being a writer to being an author. Specifically about how these things affected here during the early stages of her career. 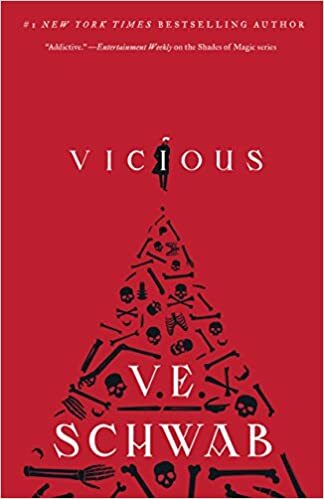 37:00 – Victoria talks about the creation of Vicious giving us insight into what makes it so special. 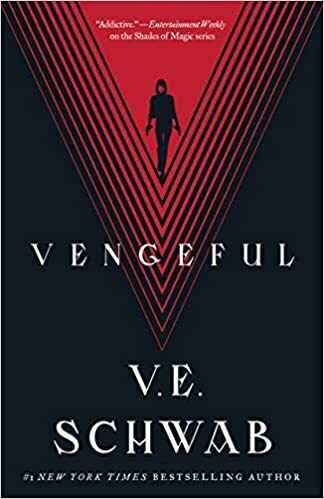 39:30 – Victoria talks about how she just finished rewriting Vengeful one of her upcoming books. Why? Because she felt she could do better. Even more impressive, she did it in a two-month time frame! 45:30 – Victoria talks about how she finds the strength to keep writing by accepting it as a necessary step for her to stay mentally fit. 50:00 – Victoria talks about her difficulting in deciding where she wanted to spend her creative abilities at a young age. She explains how Neil Gaiman helped her realize what she wanted to do and how she wanted to express herself. 53:00 – Victoria talks about the mental fortitude required to be a successful writer. She talks about how trying to keep everyone happy is exhausting and impractical. 57:00 – When asked, what the one truth she would share is, Victoria reiterated her previous point that you can’t please everyone. 60:00 – Victoria talks about the benefit of physical exercise in regards to mental health. 65:00 – Victoria talks about her joy of listening to or reading memoirs. She opens up about how what used to be a guilty pleasure has become an opportunity to gain insight into how other people think.